This report was contributed to by Claudia Nguyen ’18 and Simon Poser ’19. On November 28th, Haverford students received an email from Haverford SECS that notified the student body that the Winter Formal dance, Snowball, would be cancelled this year. 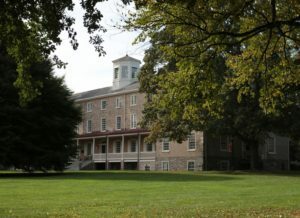 The main reasons given for the cancellation of the event were the events that transpired during the college’s annual Halloween Dance, where there were multiple incidents of disorderly conduct by students and four students required medical attention due to alcohol-related illnesses.These incidences included random acts of violence against students and student organizers, with one of the most extreme cases involving a SECS co-head who was punched by a student. Ultimately, the Halloween Dance was shut down early by campus security given the nature of the situation. Additionally, one of the students who could not be identified at the time became unconscious at Founders and needed to be taken to the hospital. A call was made at 11:53pm and the ambulance arrived shortly thereafter. EMTs on call administered a defibrillation protocol to restore a regular heartbeat. The student was then transported to Bryn Mawr Hospital overnight and eventually recovered. They were later identified as a Swarthmore student. Student reactions regarding the cancellation have been widely varied. Some individuals that have agreed with the decision have stated that that they believe that Snowball and similar events are an earned privilege, not a right, and the events that occurred at the Halloween Dance called those privileges into question. Many of them also believe that the decision and SECS email have started a necessary conversation regarding campus party culture and the social Honor Code. On the other hand, students that disagree with the decision have also stated various justifications for their views. Some believe the decision should have been made in consultation with members of the community, such as by holding a campus conversation regarding the events that occurred, how we can improve, and how we should proceed forward as a community. Some students articulated that collective punishment is not an effective response to the behavior of individuals because it does not keep with the Haverford tradition of restorative justice. Additionally, many seniors are disappointed that they will not be able to experience a final year of Snowball, an event that many of them look forward to at the conclusion of the Fall semester. Furthermore, due to the of the cancellation of the Winter Formal Dance, other groups are planning parties on the date it would have taken place. In a Facebook post, one of the organizers stated that they agreed the events that transpired during the Halloween Dance did “not reflect Haverford’s values.” These events are being organized to give the Haverford community a chance to celebrate before the end of the Fall semester. Some of the celebrations include Yule Ball hosted by Nerd House, Winter Formal in Lunt basement, as well as parties held in Leeds and Apartment 19. Although there are still plans for alternative celebrations to Snowball, statements made by the SECS Co-Heads have still called upon the student body to reevaluate their own actions and those of their peers. Although they are disappointed to cancel the dance, they stand by their decision as they believe that hosting it would be inappropriate given the events at the Halloween Dance that jeopardized communal safety. 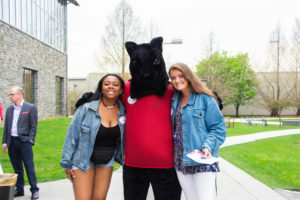 Future events will hinge upon the ability to foster a safe and enjoyable atmosphere for students at Haverford.